$ 990 USD per person / Price based on 2 People / 7 days, 6 nights. *Note this price might change depending on the season of the year, for example during holy week, Christmas, summer vacations, etc. Please, contacts us before you make the payment to confirm price and availability. Experience the best of Yucatan Peninsula. You will enjoy of tasting delicious Yucatecan dishes during a Street Food Tour. You will discover Chichen Itza a New Wonder of the World and have a wonderful experience with nature swimming inside Cenotes. 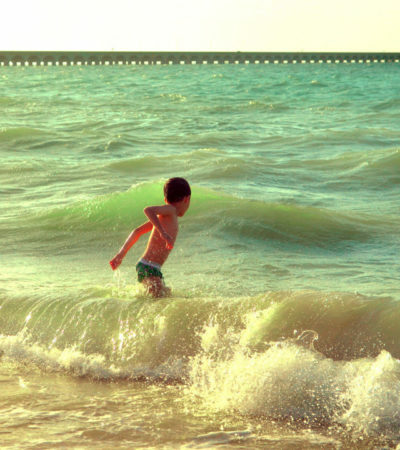 Time at the beach is on the journey! Discover the Southeast of Mexico and get impressed.  *If you require any variation in the tour, click on “Request more info”. Swim in three beautiful Cenotes and enjoy a “truck” (horse drawn wagon) ride. Private excursion to Chichen Itza archaeological site, a sacred site and one of the greatest Mayan cities of Yucatan Peninsula. Day 7 Hasta pronto Mexico! *This is a shared basis journey, if you want to customize this itinerary please contact us. In some cases the order of the activities may change. According to your arrival time. Bring extra money for your personal expenses. Swim in Cenotes, underground rivers at Yucatan. 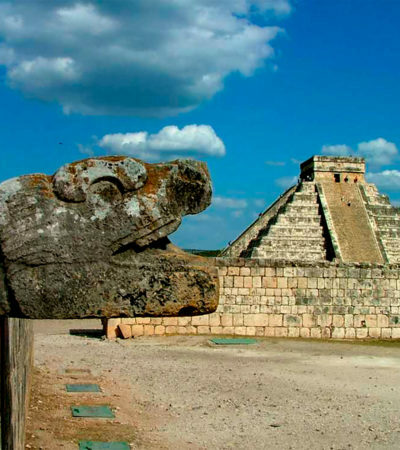 Visit Chichen Itza, one of the New 7 Wonders of the World. Relax on the beach at Cancun. Shared transportation for all scheduled activities excepting on day 5 (private transportation on this day). English speaking guide in day tours. 4 nights at a 3 star hotel in Merida or similar. 2 nights at all inclusive Hotel in Cancun. Breakfast daily at hotel while your stay in Merida. All activities mentioned in the itinerary. Entrance fee at Santa Barbara Cenotes, Chichen Itza and Yokdzonot Cenote. Welcome to Mexico! 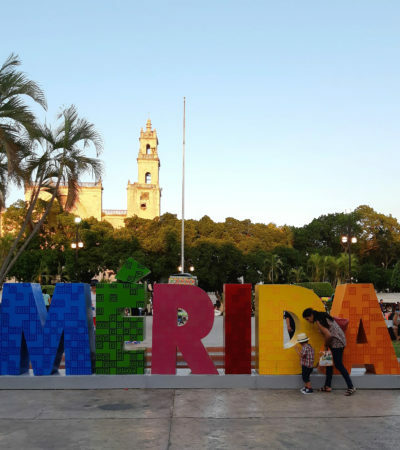 Upon your arrival at Merida International Airport you will meet your Adventures Mexico driver and you will be transferred to be settled in your hotel. You will have a free night to rest. Be ready, this trip is about to begin! 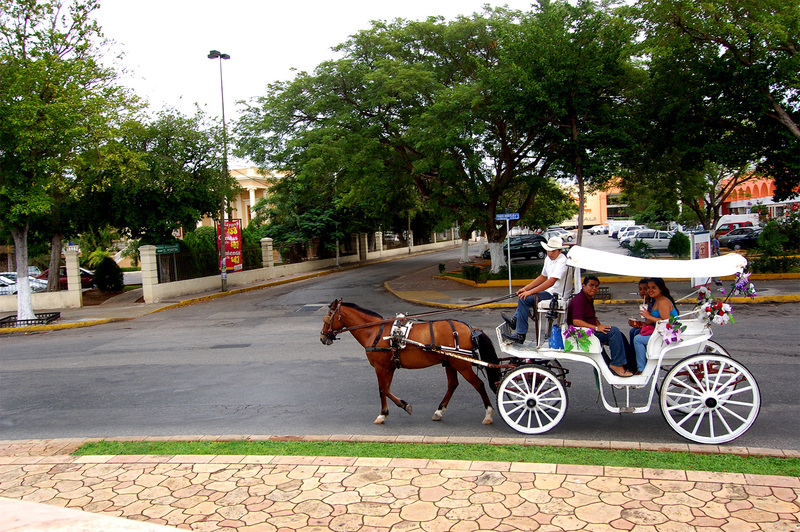 Today you will begin your journey in Merida city, capital of Yucatan. You will enjoy a city tour around the main square where you will visit the Governor's Palace, The Cathedral (the oldest one in America) and some others top attractions. In the afternoon, you will have free time to explore the city on your own. 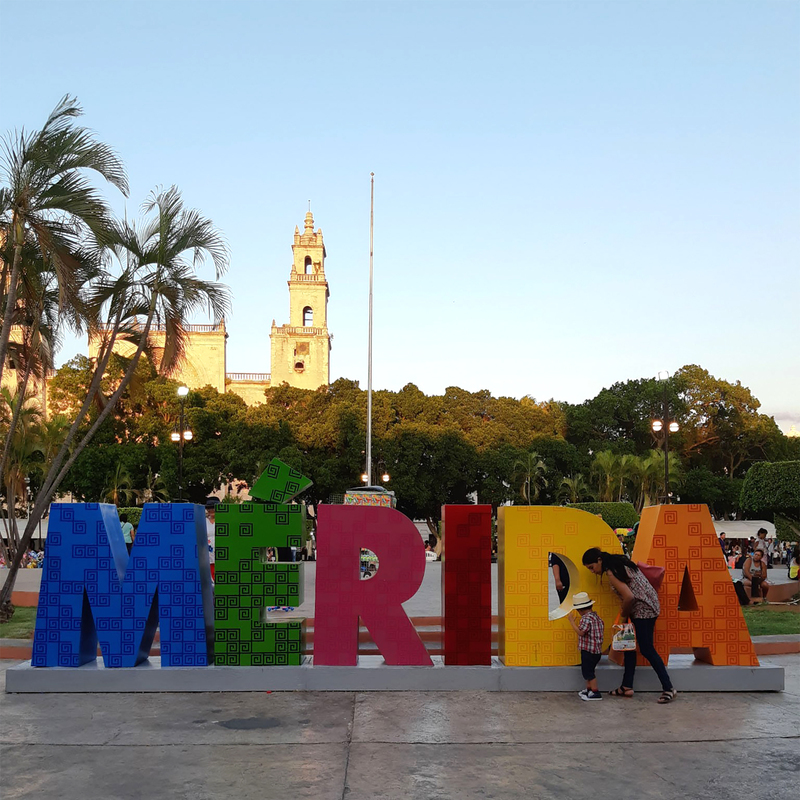 You’ll spend the night in Merida. It’s time for some local Mexican food! Today, you will sample authentic Yucatecan food in the Merida Street Food Tour. You will taste the most popular meals in a short period of time. In this walking tour you can try some fruits, juices, cochinita pibil, lechon, tamales, panuchos, empanadas and seafood. In the afternoon, you will have leisure time to enjoy on your own. This morning you will visit the Cenotes of Santa Barbara. The cenotes are sinkholes where underground rivers break through the limestone crust of the earth. For Mayas, they represent the doorway to the spiritual underworld. You will get on a horse drawn cart, to visit and swim the beautiful and clear cenotes. 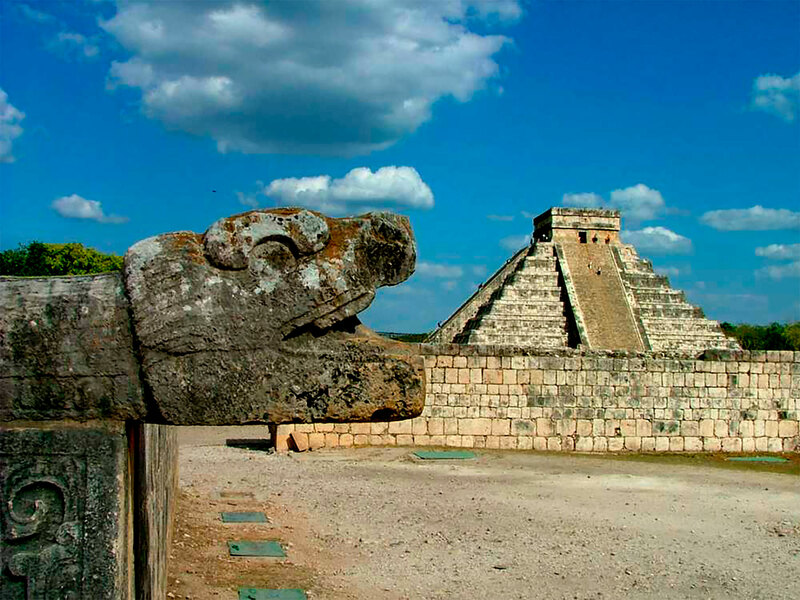 Today you will continue your travel to Cancun; on the road, you will visit the famous site of Chichen Itza. This important center combines majesty and nature. A guide will explain the splendid Castle and share with you the vast knowledge the Mayas used to have about the cosmos, math and science. There, you will find the biggest ball game court of the Mayan world. After that, you will be transferred to your all inclusive hotel in Cancun, once settled in, you will have time to relax and have leisure time at your hotel. Today will be your last day in Mexico. 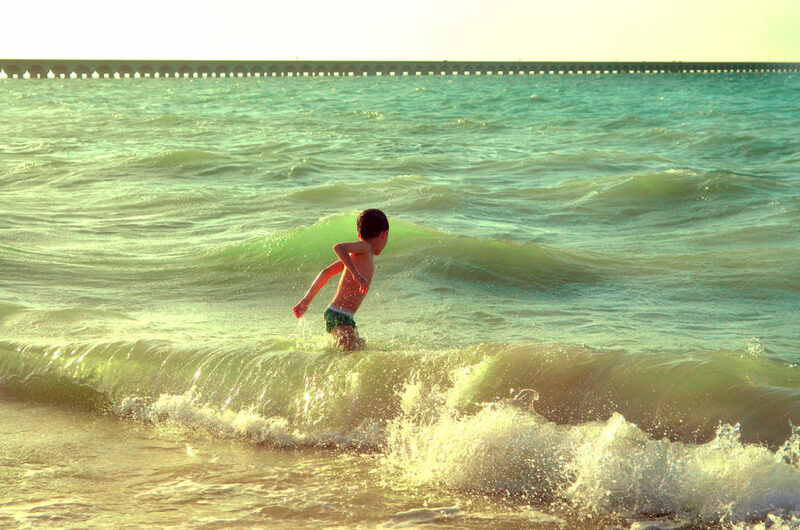 You will enjoy a free day at Cancun, the most famous touristic spot of the Yucatan Peninsula. You will be able to relax on the beach and enjoy the weather. You’ll staying there for an overnight. Get ready for your flight back home. Today, you will be transferred to the Cancun International Airport this morning and board your flight back home. You return with last memories of exotic landscapes, ancient cultures, and a wealth of new friends! Hasta pronto Mexico!